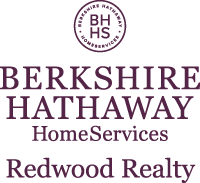 The median home value in Burnt Ranch, CA is $400,000 This is higher than the county median home value of $234,100. The national median home value is $185,800. The average price of homes sold in , is $. Approximately 61.15% of Burnt Ranch homes are owned, compared to 22.3% rented, while 16.55% are vacant. Burnt Ranch real estate listings include condos, townhomes, and single family homes for sale. . Commercial properties are also available. If you see a property Burnt Ranch real estate agent to arrange a tour today ! Learn more about Burnt Ranch. This is the first time this property has been available on the open market. Mostly gentle usable land with a good amount of timber. Hennessy Creek runs through it. There is also another un-named creek and at least one spring. ZONED AGRICULTURAL PRESERVE this land is in the Williamson Act. Low elevation and close to power. Owner may carry with 50% down.